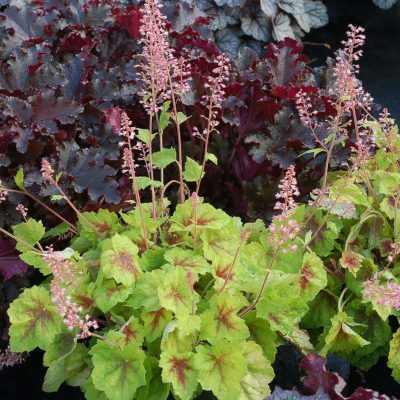 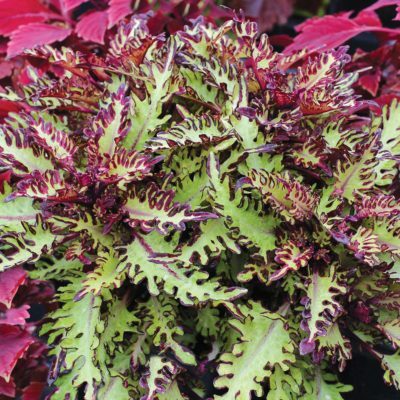 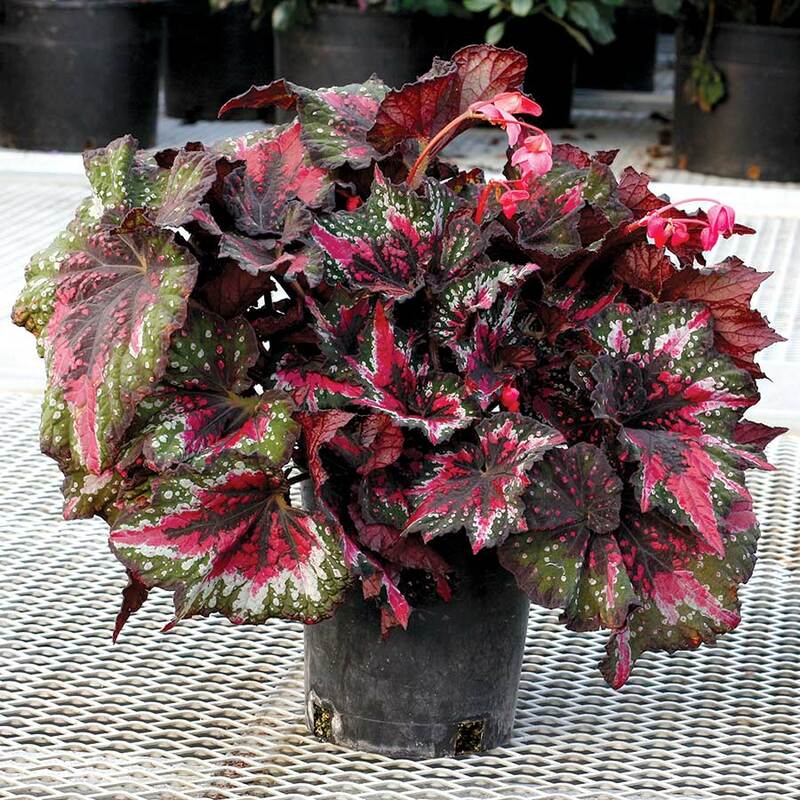 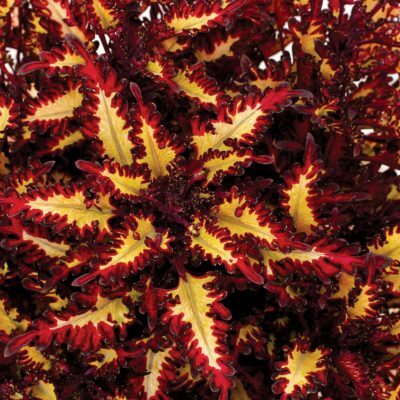 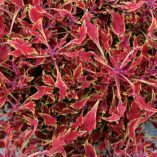 Coleus HIPSTERS™ ‘Dexter’ | TERRA NOVA® Nurseries, Inc.
Coleus HIPSTERS™ 'Dexter' has the low spreading habit and the narrow leaves and spiky margins of the series but with leaves a dark red with a fine lime green margin. 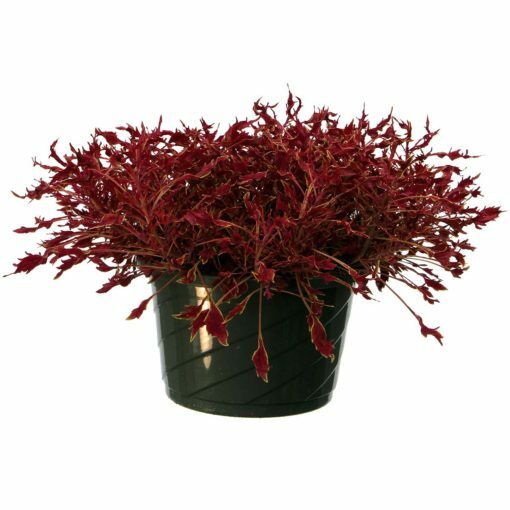 Very edgy. All the HIPSTERS™ make great mixers with Calibrachoa. 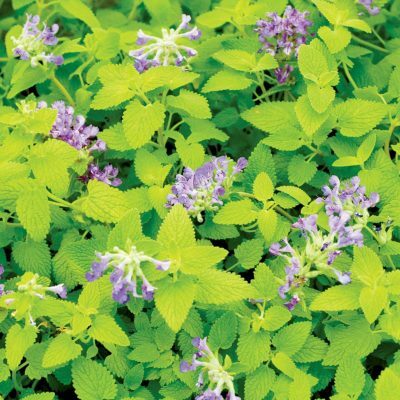 HIPSTERS™ are naturally multibranching with dense, low, spreading habits and narrow leaves. 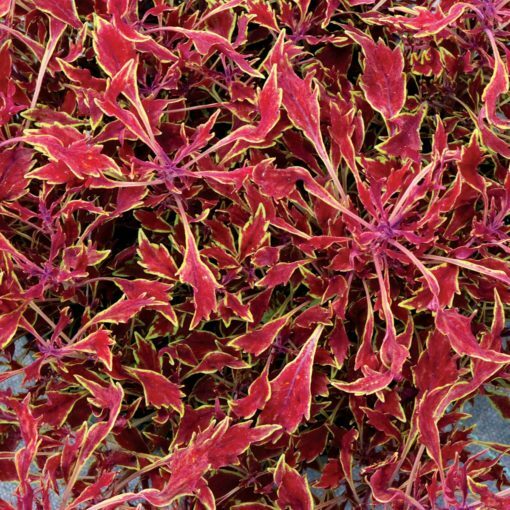 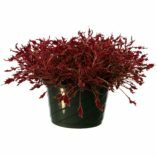 'Dexter' has dark red leaves, finely edged lime green.